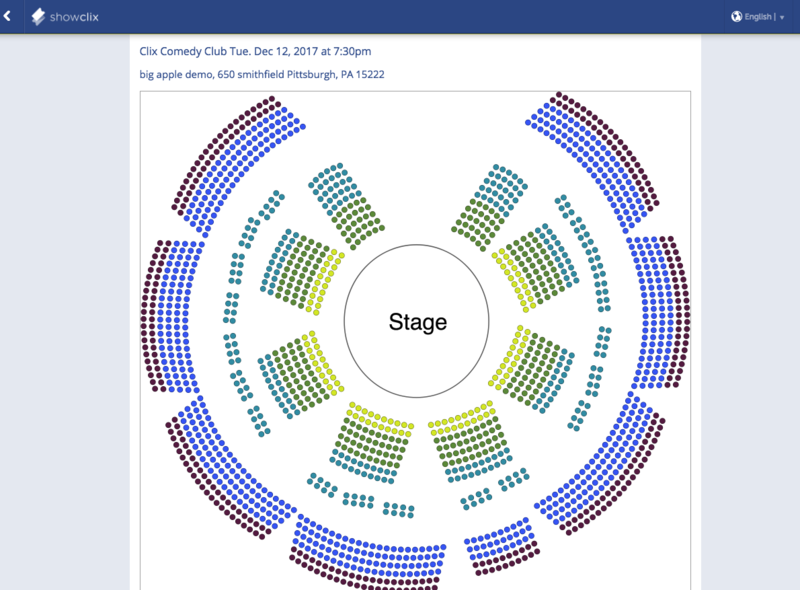 Because our team manually builds reserved seating venues into our system, we ask our clients to request the setup of a reserved seating venue. Please contact your Client Success Manager or email clients@showclix.com if you are interested in selling tickets to reserved seating events. View Details. 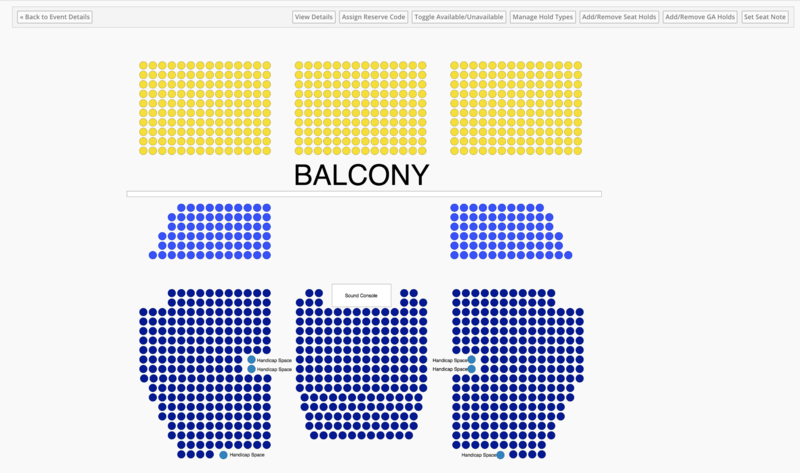 Click view details and click any seat to see relevant information about the seat. Assign Reserve Code. Use this tool to select and reserve seats for a reserve code. Reserve codes are used to give to patrons so that they can buy specific seats in the venue. Manage Hold Types. You can enter a name and assign a color for any type of held seat that you would like to block from being sold. Typical hold types could be House Seat, Accessible, VIP or another type of seat you'd like to hold for any reason. Held seats can only be sold via the box office. Add/Remove Seat Holds. After you build your Hold Types, you can select the type of hold that you want to use from this drop down menu. Select your type, then click Submit. Now on the map, when you choose a seat, it will be placed in your selected hold type and be unavailable for online purchase.